S-300 air defense systems can detect and target enemy aircraft, missiles, and other aerial objects as distant as 250 km (155 miles) away. They can lock on to up to six targets simultaneously, able to fire two missiles at each one, downing what’s targeted at 4 to 8.5 mach speed, depending on which system is installed. Evasive targets can’t escape detection, targeting and downing, including low-flying objects approaching from different directions. S-300 ground-to-air missiles can be fired in three seconds after detecting a threat, effectively countering it, why Washington and Israel object to Russia supplying this capability to Syrian forces. It’s precisely the opposite, a purely defensive system, not an offensive one, intended solely to protect Syrian security and Russian ground personnel in the country. It only threatens attacking aircraft and other aggressive aerial objects. That’s what it’s designed for, a security system, not an aggressive one. Additional launchers and equipment will likely be delivered if needed. S-300s being installed are equipped with automated control systems – up to now only available to Russian military personnel in Syria. The sophisticated air defense system can suppress satellite navigation, radars and communications systems of attacking warplanes and missiles well before they reach intended targets. 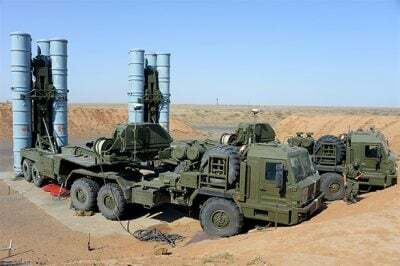 Installation will be completed by October 20, Syrian crews trained to operate S-300s within three months. Russian personnel will likely be jointly involved in their operation at least for a period of time – US/Israeli warplanes and missiles unlikely to create a greater provocation than already by endangering them. The installation will be unified with Russia’s system to receive its friend or foe ID signals, reportedly including its homeland C3 command, control, and communications system, though unclear whether fully or partly. Is the installation a game-changer on the ground in Syria? Is US/Israeli stealth capability rendered useless? Answers to these and related questions depend on whether and how both countries may try to challenge what’s being installed. Russia’s Defense Ministry claims S-300s and related equipment being installed for Syrian use can overcome stealth technology, medium-range ballistic missiles, tactical and cruise missiles, as well as airborne early warning and control (AWACS/AEW&C) aircraft, along with reconnaissance and strike systems. Clearly, the Pentagon and IDF face a challenge not previously encountered in Syria – the ability of government forces to counter hostile aerial attacks much more effectively than so far once the new installation is completed an operating.